As much as we like producing our own content here at Stocktrades, we also love reading about personal finance and investing elsewhere. When we produce the content, we already have the knowledge of what lies on the page. The best part about taking the time out of our day to read other investing and personal finance blogs is that we learn so much. This has inspired us to round up a list of what we feel are the top 10 investing and personal finance blogs you can find on the internet today. There is no particular order to the websites, as we feel each one of these will bring an equal amount of value to you, our readers. If you have a website you feel should be added to this list, feel free to contact us by using the contact form at the bottom of the page. Are you a blogger and want to be included? Let us know why your website should be featured on the top 10. Mark is one of the very few personal finance blogs I followed prior to starting Stocktrades. He covers a wide variety of personal finance and investing topics from simple saving tips to dividend stock selection. With how little time I have to read these days, Mark’s blog is one of the very few I stay up to date with, and you should too. There is a new piece of content pretty much every week at MyOwnAdvisor and Mark responds to most all comments in a timely fashion. You’d be wise to add this one to your list of blogs to follow. I started following Mike’s blog probably almost a year ago to this day. I loved the simplicity of his writing, and how knowledgeable he is when it comes to dividend growth investing, and the stock market in general. Mike offers an investing platform built by him that allows investors to find the very best dividend growth stocks for an extremely reasonable price. Mike isn’t the guy you see on a Youtube add feeding you bull about making a small fortune if you sign up for this program. He’s a regular guy, who offers an amazing platform for growing your portfolio. So much so that we have actively begun promoting Dividend Stocks Rock. Sabeel is another Canadian blogger who provides consistent high quality investing information. More so directed towards dividend investors, Sabeel’s website is full of easy to digest information on a simple web page that doesn’t bombard you with pop ups or sign up forms. He truly enjoys writing about anything finance related and it shows in his content. You’ll be able to find anything from individual stock analysis to monthly dividend raises and cuts on Roadmap2Retire. The title says it all. Jim Yih and the other contributors at RetireHappy.ca will help you get on track towards living your best years of your life in retirement. The best part about Retirehappy is the fact they are Canadian. In terms of websites that specialize in retirement information like RRSPs and pensions, you won’t find a better one on the internet. This isn’t all they talk about though. Retirehappy includes sections that focus on personal finance, inheritance, investing and more. Andrew makes talking about money easy. That’s essentially his goal with his blog, and it is one of my favorites. Andrew is the author of Millionaire Teacher: The Nine Rules of Wealth You Should Have Learned at School and The Global Expatriate’s Guide to Investing. His blog isn’t strictly Canadian based, but it provides a lot of valuable information that can be used wherever you are located. If I were you, I’d check out his blog and consider buying his books! A savvy investor from Vancouver British Columbia, Freedom Thirty Five is an excellent blog that covers a wide variety of topics. Going by the name Liquid, his story is quite fascinating, and the amount of investment capital he has built up over the years considering his age is astonishing. I won’t ruin all the fun for you though, give the website a look. The thing I like about Freedom is the fact that you can go to their front page and be presented with anything from line of credits to stock market crashes. The wide variety of reading material is nice, and he’s knowledgable in all areas. MapleMoney is an all around great website. In terms of finance, it truly is the jack of all trades. Tom is from our hometown province of Alberta, and actually lives not too far from me. In terms of content, you’ll find everything from how to save money, how to spend money, how to invest money….. You catch my drift. He’s got it all, and it is a website you should be adding to your list of must reads if you can. 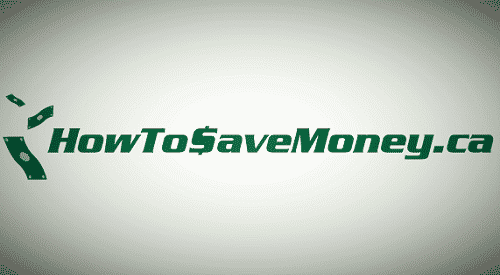 You can probably tell by the title of the website that Stephen from Howtosavemoney.ca focus’s more on saving than actually investing. But, considering saving money is absolutely crucial to the whole picture, it’s a website that is almost a must follow for all Canadians. Stephen talks about anything from Airmiles to RoboAdvisors. He’s got a ton of promotions set up to help you save the most and maybe build up that nest egg to the point where you can start stock piling cash to invest. Good Financial Cents is another blog I have been an avid reader of prior to starting Stocktrades. Jeff creates amazing content that somehow clicks just as well with a DIY beginner as it does with an 8 year veteran like me. There is a ton of investing and money saving content on GFC, and Jeff has been featured on so many authority websites that I have to admit, I’m a little jealous. But, every single one of them is rightfully earned. GFC is an amazing website, and Jeff is an amazing writer. If you have any questions regarding his book, feel free to send an e-mail to Stocktrades owner Dylan at [email protected], he’s currently reading and loving it. Last but not least, especially considering this list has no order to it, is The Simple Dollar. I like websites who can bring it all. Investing and personal finance combined create an amazing experience for someone who may be looking to pay down debt first, then invest. The Simple Dollar does this extremely well. They have a lot of review based content in their menu, but if you’re looking for something a little more particular head to the blog section and you’ll find anything from investing to cryptocurrencies.